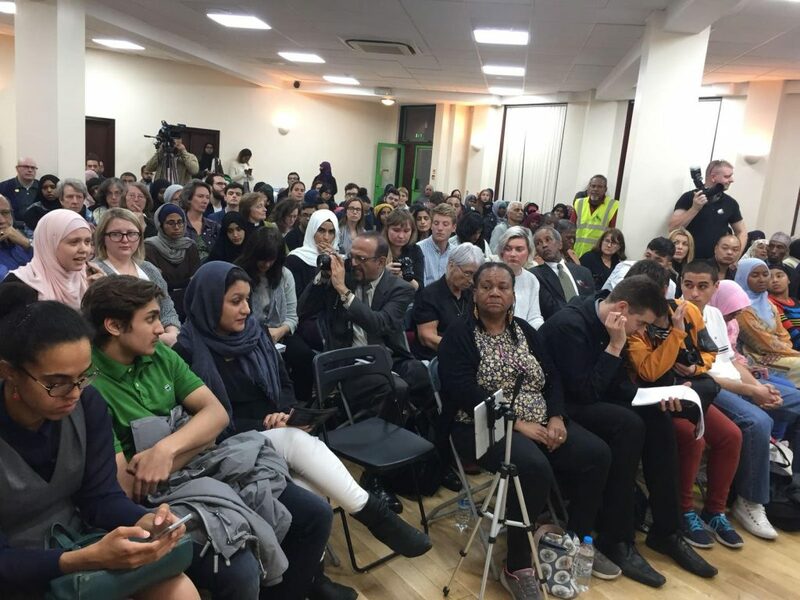 Jeremy Corbyn attended our Hate Crime Against Muslim Women – A Listening Exercise’ to kick-start Hate Crime Awareness Week. 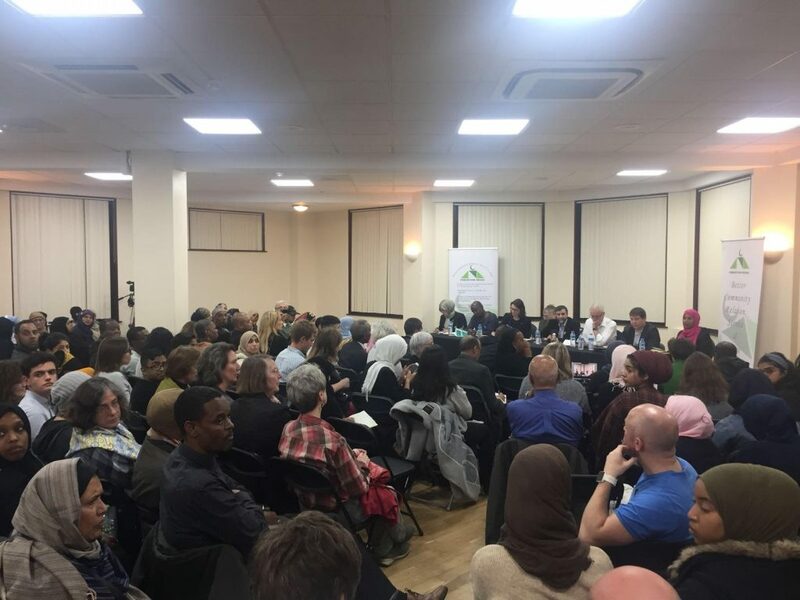 On Monday evening, Finsbury Park Mosque held an important event entitled ‘Hate Crime Against Muslim Women – A Listening Exercise’ to kick-start Hate Crime Awareness Week. 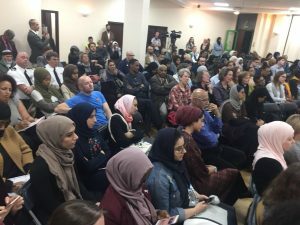 The event was packed-out with only standing room left as members of the local community, councillors and politicians, police officers, and a number of local and national media outlets came to hear about the experiences of Muslim women who have been victims of hate crimes. Following the recent terrorist attacks in London and Manchester, there has been a surge in hate crimes against Muslims, especially visibly Muslim women. However, most crimes go unreported but why is that the case? This was one of many questions posed during the evening as Muslim women and attendees shared their personal experiences and directed their questions to a distinguished panel of expert speakers including Jeremy Corbyn, MP for Islington North and leader of the Labour Party; Richard Watts, Leader of Islington Council; Colin Adams, chair of Islington Hate Crime Forum; Ragad Altikriti, senior member of The Muslim Association of Britain; Treena Fleming, Detective Superintendent of Islington; Lead for Safeguarding for Central North Board; Rev. Jennifer Potter, Chair of Islington Faiths Forum; Cllr Rakhia Ismail and Cllr Andy Hull. The response from the event was overwhelmingly positive and it fostered a real sense of support and demonstrated how important the issue was on a local level. Police representatives and councillors spoke about the need to increase resources and promised to look into making the process of reporting hate crimes more accessible. Jeremy Corbyn and Richard Watts spoke about the need to unite together as a community and responded to increasing concerns by attendees about the role of the media in promoting hate speech and how they must be made more accountable for their words. 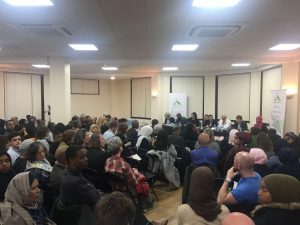 The evening was chaired by Chairman of Finsbury Park Mosque, Mohammed Kozbar, and was ended with Mr Corbyn among community leaders including the chairman of the Finsbury Park Mosque, colleagues on Islington Council, police officers who signed a “pledge” to tackle hate crime in the borough. It was part of Hate Crime Awareness Week.